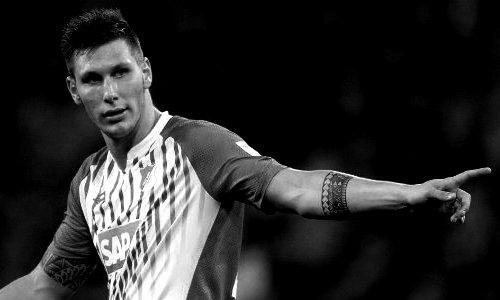 Premier Clubs Arsenal and Chelsea are keen on Hoffenheim defender Niklas Sule, according to the football transfer rumours in German Press. German international has started his career with Rot-Weiß from Walldorf, after that he went to Eintracht Frankfurt, where he played until the end of the 2008–09 seasons. Next season, Sule has moved to SV Darmstadt 98, and only half a year later has moved to Hoffenheim. Sule starts all 13 games for Hoffenheim this season, scoring one goal. Few weeks ago Hoffenheim defender spoke that is wanting to play in the Premier League. Arsenal manager Arsene Wenger is big fan of Sule, but Euro Football Rumours understand that Chelsea are in pole position to land German defender. Chelsea are preparing an offer in a region of 30 million euros in January transfer window, with an option to loan him back to Hoffenheim for the remainder of the season.